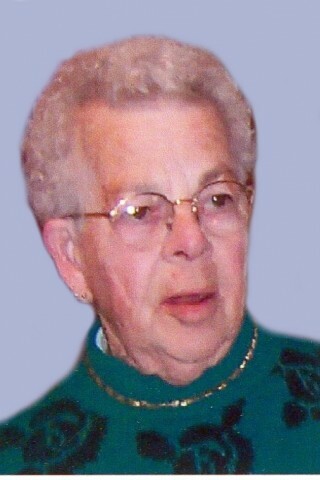 Dorothy “Dot” Machia, age 86 years, a lifelong Sheldon resident died early Friday morning March 10, 2017 in the Northwestern Medical Center with loving family at her side. Born in East Highgate on March 9, 1931, she was the daughter of the late Daniel Sr., and Bernice (Horner) Johnson. She attended schools in East Highgate, Rice Hill and Sheldon and on June 24, 1951, was married to Winston Machia Sr., who survives her. Dot was employed for 31 years with the former Fonda Group and was a lifetime member of Local 345. She loved to play Bingo and cards and was well known for keeping an immaculate lawn. In addition to her husband Winston Sr., Dot leaves her daughter, Darlene Williams and husband Rodney of Franklin; her son, Winston Machia Jr., and his wife Oglor of Sheldon; four grandchildren, Michelle Williams and friend Greg of Enosburgh, Matthew and Jessica Williams of Sheldon, Heidi Machia and friend Jeremy of Franklin and Heather Machia of Highgate; six special great grandchildren Daniel Williams, Katie Pelkey, Jackson Baker, Wyatt Williams, Bella Mae Barnum and Hank Williams; two sisters, Maxine Barney of Swanton and Shirley Burns of Saint Albans; two brothers, Wayne Johnson and his wife Fay of North Carolina and Ivan Johnson and wife Carol of Swanton as well as many nieces and nephews. Dot was predeceased by a sister, Laura Corwell and brothers, Raymond Chauncey, Albert, Daniel and Harold Johnson. A Funeral Service will be held Wednesday, March 15, 2017, at 11 a.m. from The Kidder Memorial Home, 89 Grand Avenue Swanton. The Reverend Kerry T. Cameron will officiate. Entombment will follow to await spring interment in the Sheldon Village Cemetery.